Southern Oregon is beautiful driving country. Home to the Wild and Scenic Rogue River, the rushing North Umpqua River, the Siskiyou Mountains and Crater Lake, Southern Oregon’s stunning natural beauty is worth a trip alone. The region is also home to a thriving arts and culture scene as well as the Rogue Valley wine region, which has 19th-century roots. 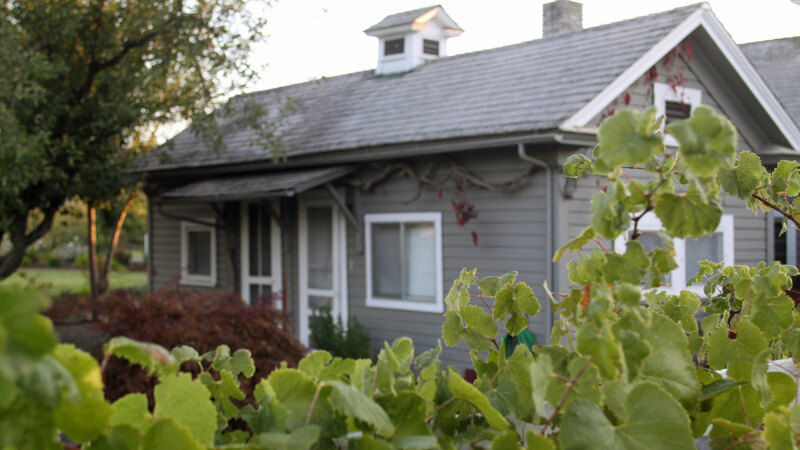 Most of the area’s wineries are small, family-owned enterprises, where you are likely to be welcomed by the wine maker. For world-class arts, fine wine and a friendly welcome, explore these Southern Oregon towns along the Southern Oregon Arts and Bounty Electric Byway. In American Planning Association - Great American Places 2014, Lithia Park was designated as one of the top ten Great American Spaces by the American Planning Association. Start in the town of Ashland, which presents the annual Oregon Shakespeare Festival. Staging 11 plays at three theaters, the festival runs February to October with the outdoor Allen Elizabethan Theatre open in summer. The Ashland Independent Film Festival takes place in April in the beautiful art deco Varsity Theatre, screening 80 films in five days. You can also browse more than 30 art galleries in town, including the Schneider Museum of Art at Southern Oregon University. 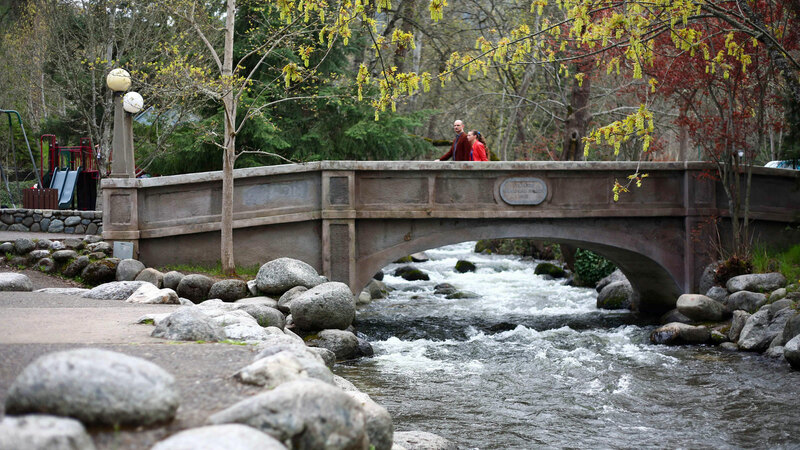 Don’t forget to walk through Lithia Park, known as Ashland’s crown jewel, featuring 100 acres of gardens, including a serene Japanese Garden, and a famed water fountain. If you are staying the night, check out the historic Ashland Springs Hotel or the charming Lithia Springs Resort. Charge your electric vehicle at the Ashland Texaco charging station. 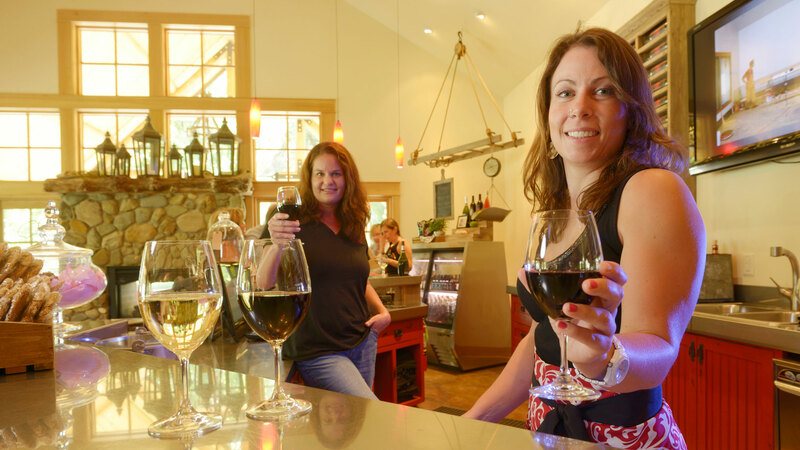 Tasty detours: Near Ashland, sip wine at Irvine Vineyards and Grizzly Peak Winery. In the town of Talent, stop at Paschal Winery & Vineyard and check out New Sammy’s Cowboy Bistro, serving organic produce and locally farmed meats and artisan cheeses. Southern Oregon’s largest town, Medford retains a small-town friendliness. 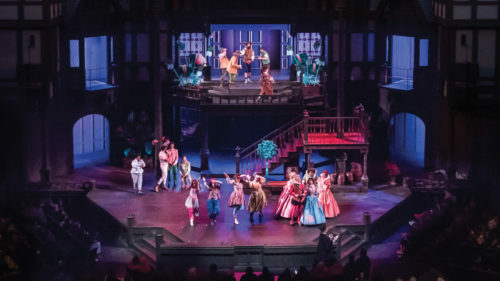 The Craterian Theater at the Collier Center for the Performing Arts is the town’s premier performance venue, producing everything from Broadway musicals to live plays. The Randall Theater Company offers comedy, drama and musicals. Local art galleries include Art du Jour Gallery, Rogue Gallery & Art Center and Siskiyou Artisans Gallery & Gifts. Charge your electric vehicle at the Central Point Chevron charging station. 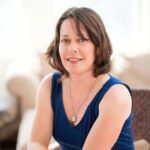 Tasty detours: Near Medford, visit RoxyAnn Winery, Pebblestone Cellars and Ledger David Cellars. With scores of buildings on the National Register of Historic Places, downtown Jacksonville is a 19th-century treasure. Take a self-guided tour of town, and visit the nearby Jacksonville Cemetery to learn about the town’s founders, many who came for the 1851 gold rush. 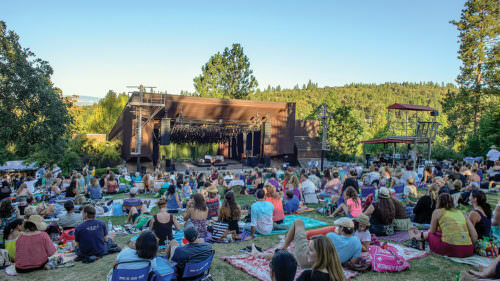 In summertime, enjoy the Britt Music and Art Festivals, the oldest outdoor performing arts festival in the Pacific Northwest. The venue is located in a natural amphitheater among the trees at the estate of 19th-century photographer Peter Britt. Dozens of world-class classical, jazz, blues, folk, pop and country performances take place here during the season. Stay overnight at the elegant Jacksonville Inn or the TouVelle House Bed & Breakfast. Tasty detours: Near Jacksonville, visit South Stage Cellars, Cricket Hill Winery, Red Lily Vineyards and DANCIN Vineyards. 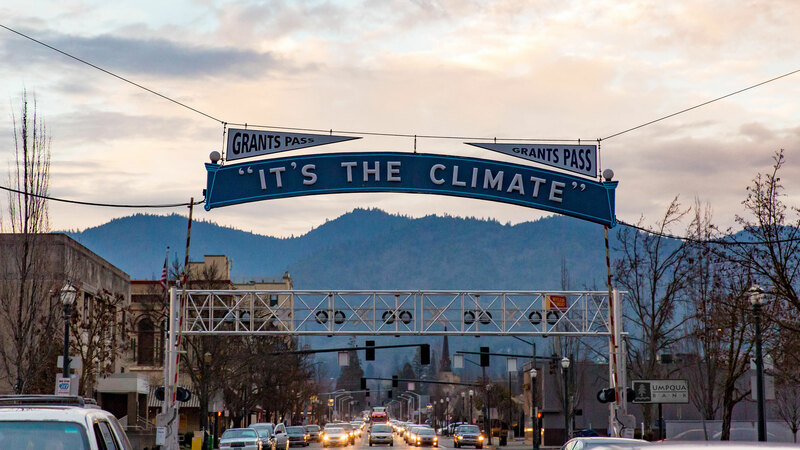 First displayed in 1920, the Grants Pass "It's the Climate" sign pays tribute to the city's often pleasant weather. 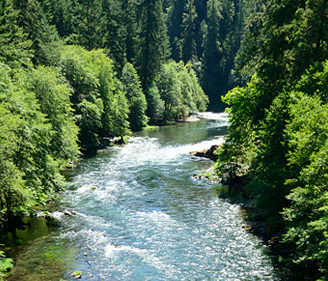 With the Wild and Scenic Rogue River running through town, Grants Pass (pop. 35,076) is known as an outdoor recreation paradise, but it also has a growing arts culture. Visit the fine arts collection at the Grants Pass Museum of Art and more than a dozen art galleries in town. Don’t miss the annual Art Along the Rogue street painting and music festival in the fall. The elegant art deco Rogue Theatre is the town’s main performing arts venue, staging rock, jazz, blues and Celtic music each year. Spend the night at the Weasku Inn, a beautifully restored 1920s lodge on the banks of the Rogue River. Charge your electric vehicle at Grants Pass & Josephine County Chamber of Commerce. Tasty detours: Near Grants Pass, visit Soloro Vineyard, Troon Vineyard and Wooldridge Creek Winery.